Last week was a watershed moment for the linear algebra book. My editor finished her final pass of edits to the text and passed the ball back to me for the final touches. 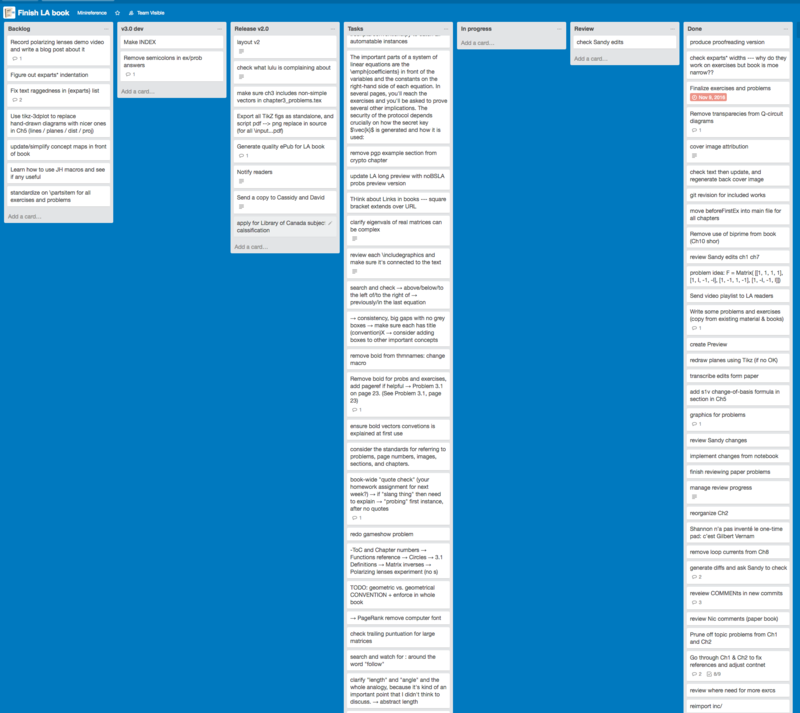 All the remaining tasks have been placed in a Trello board and now all I have to do is act on them to finally get the job finished. It’s difficult to describe in words what a relief finishing this book will be for me. This book has been my life for the past four years. Here is a time lapse video that shows two-years-worth of commits in two minutes. I want to thank all the readers who have supported me throughout the years. 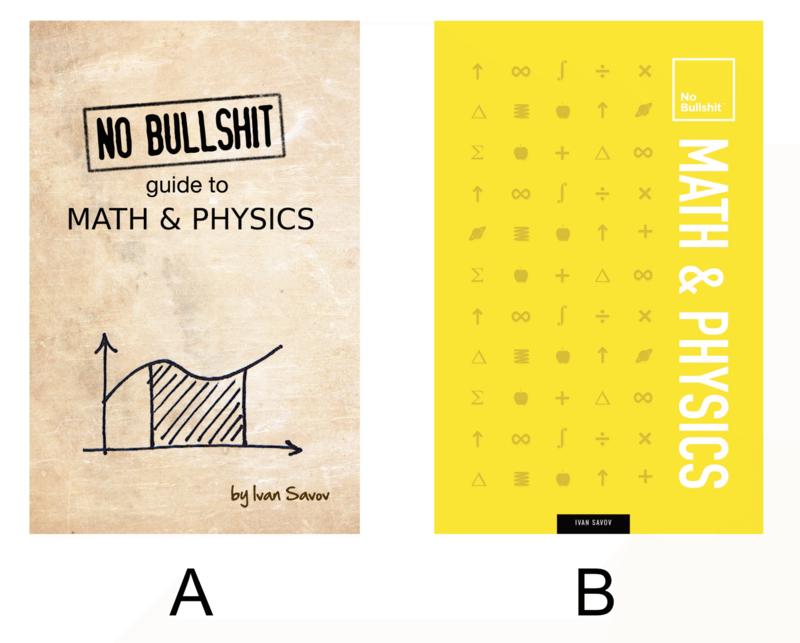 Thanks for all the feedback and suggestions, which made the book better. A big thank you to all the gumroad readers for your financial support and your patience—I’ve been “finishing up” the applications chapters for three years, yet not a single reader has threatened to come and break my legs because of the delays. Y’all are awesome! 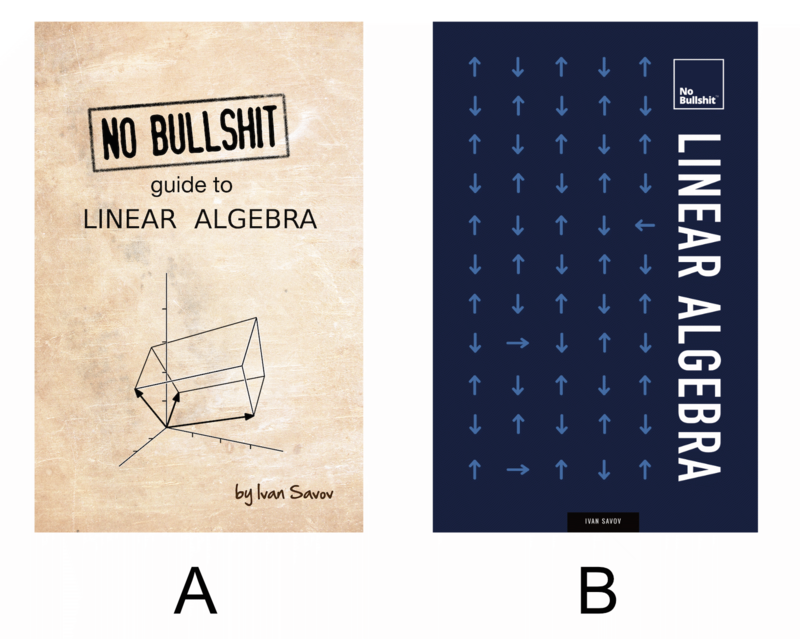 In parallel with the edits of the linear algebra book, I’ve also been working on a new look for the book covers. Which version do you prefer and why? You can reply via the comments below or send me an email.